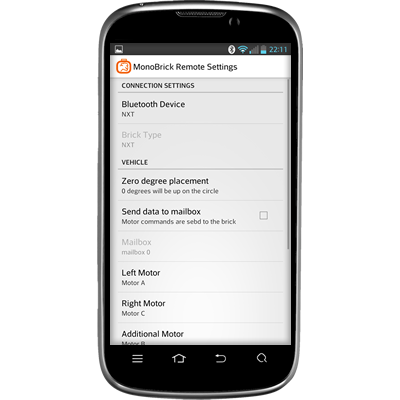 The MonoBrick Remote for Android let’s you can control a LEGO Mindstorms brick using a bluetooth connection. 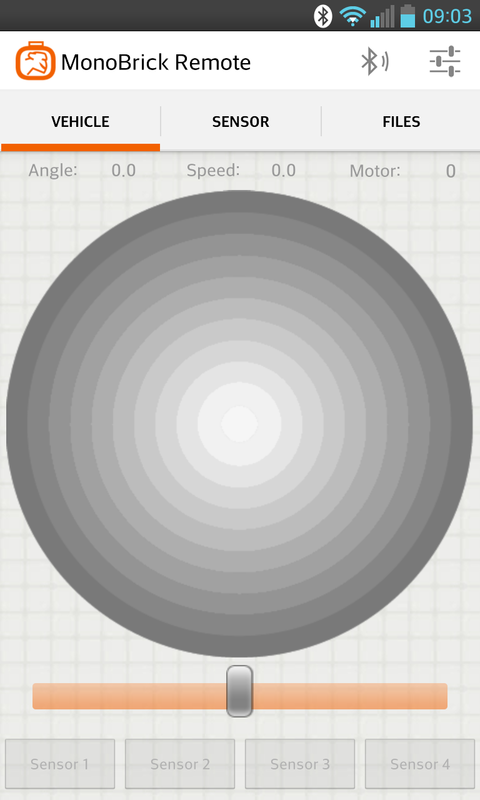 You can control the direction and speed of a vehicle by placing your finger on a circle. 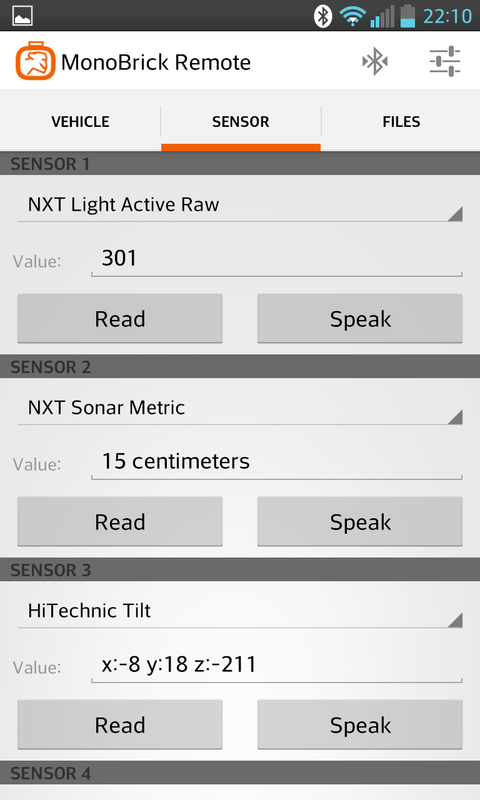 Select from more that 20 different sensors and have your phone read sensor values aloud. Great when you are bussy driving your vehicle. 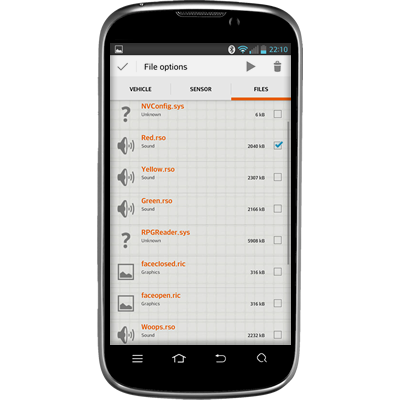 Furthermore you can play sound files, start “on brick” programs and delete files. 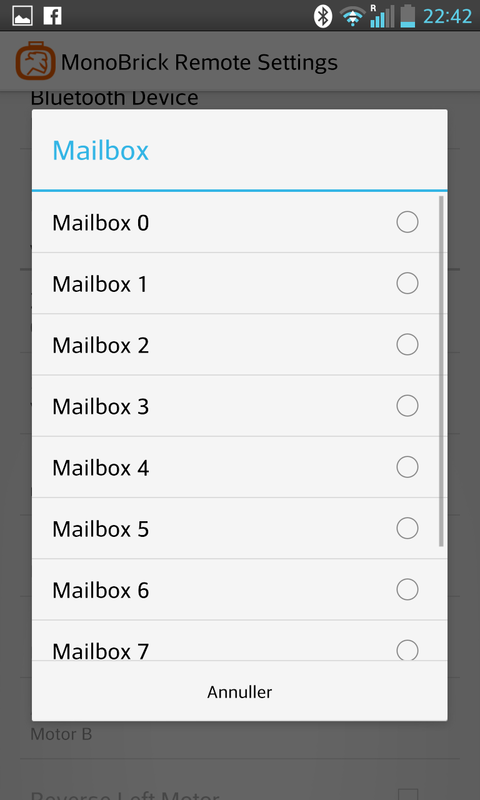 Last but not least the remote allows you to send raw input to a mailbox. 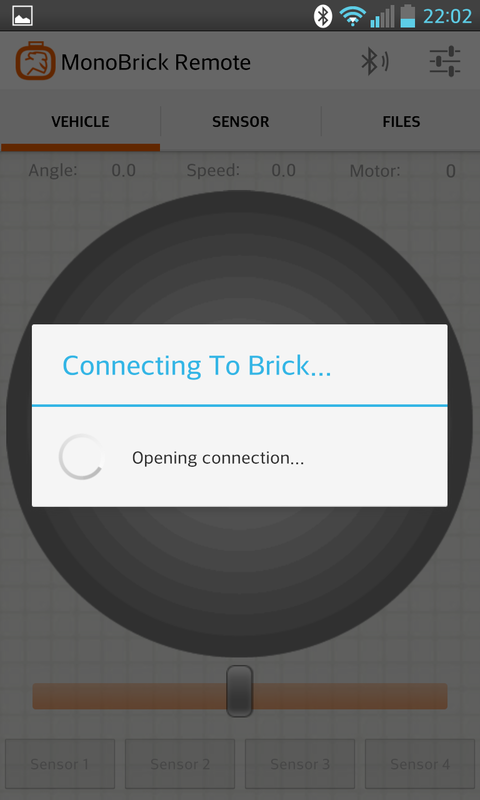 This allows you to have a program running on the brick that can react to where the finger is placed on the circle and the position of the slider. 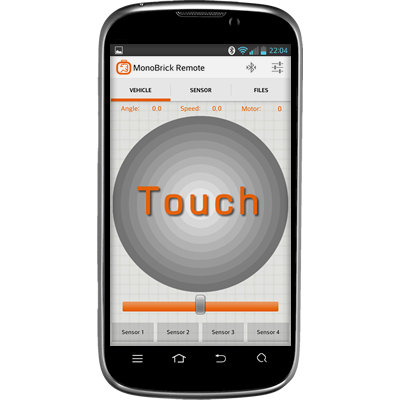 The first time you run the MonoBrick Remote you will be guided through the process of pairing you phone with your LEGO Brick. This is shown on the screenshots below. 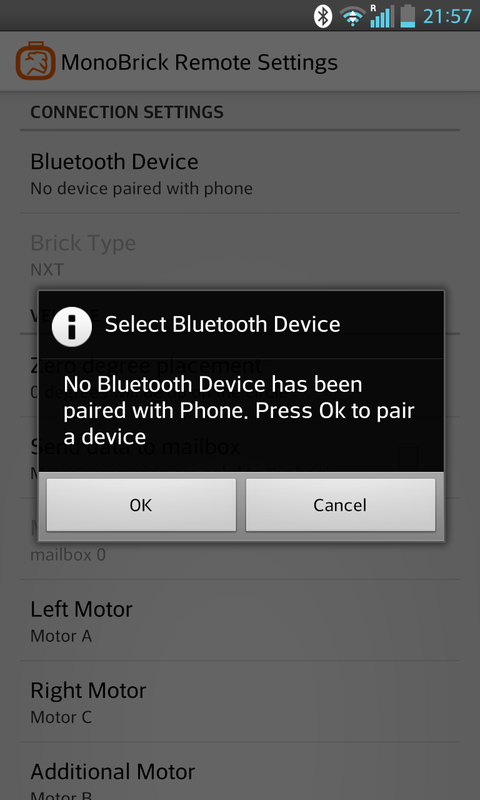 Once the phone and LEGO Brick has been paired you can connect to the brick by pressing the Bluetooth icon. 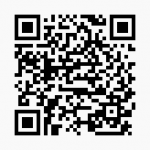 Below is a NXC sample program that converts phone input data to three floats. 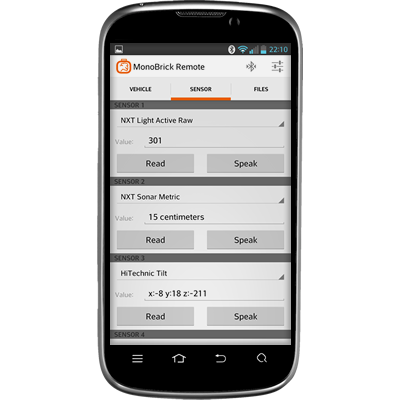 Questions related to the MonoBrick Remote for Android can be found in the MonoBrick communication library forum. 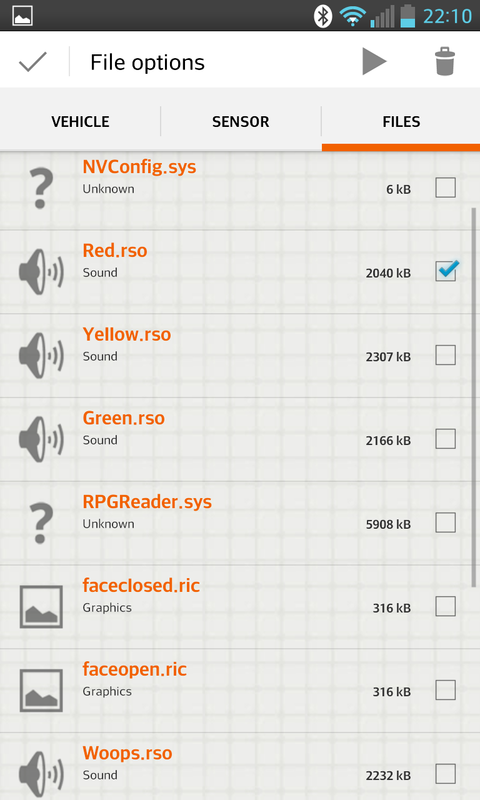 Will any part of this be released open source? 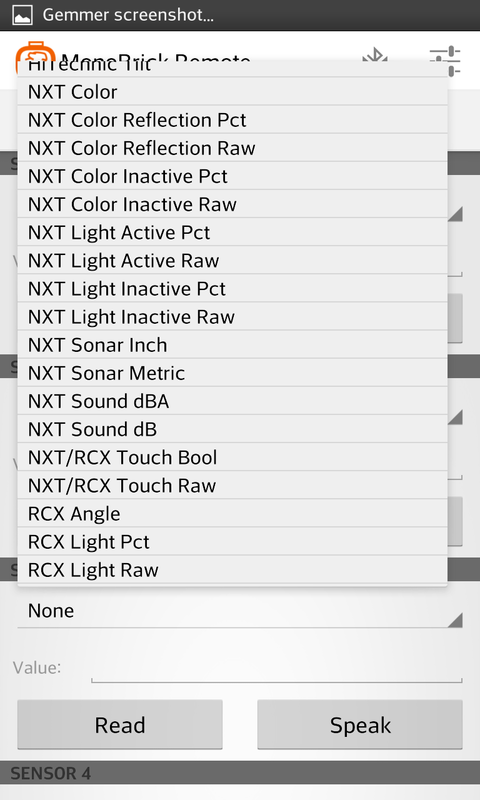 Such as selecting a NXT to connect to? I am not sure I understand your question. 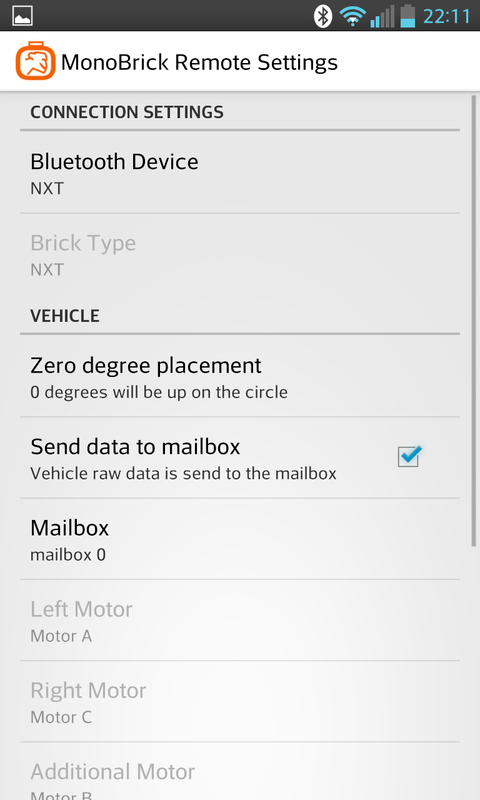 Selecting a NXT to connect to has nothing to do with open source or am I missing somthing? I tried connecting and all it says after open connection is “initialize sensor 1 as none” what do I do? 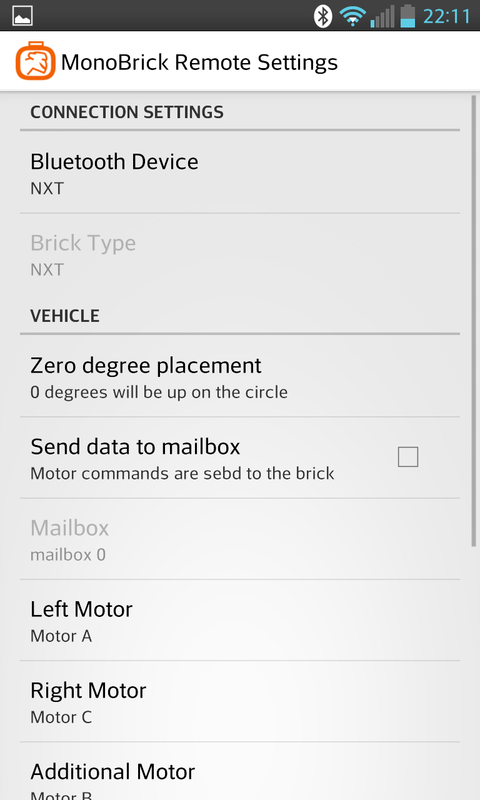 Has the App/Controller code been updated for EV3?